Researchers have found new evidence suggesting that sugar stimulates cancer cells, causing cancerous tumours to become more aggressive. A team from VIB, KU Leuven and VUB in Belgium published results from their nine-year study this week and concluded that the hyperactive sugar consumption of cancerous cells triggered a “vicious cycle” in which glucose (sugar) caused the rapid and dramatic activation of “Ras proteins” – very often present in a mutated, overactive form in cancerous cells – and also known to be stimulated at the rate cells metabolise glucose. 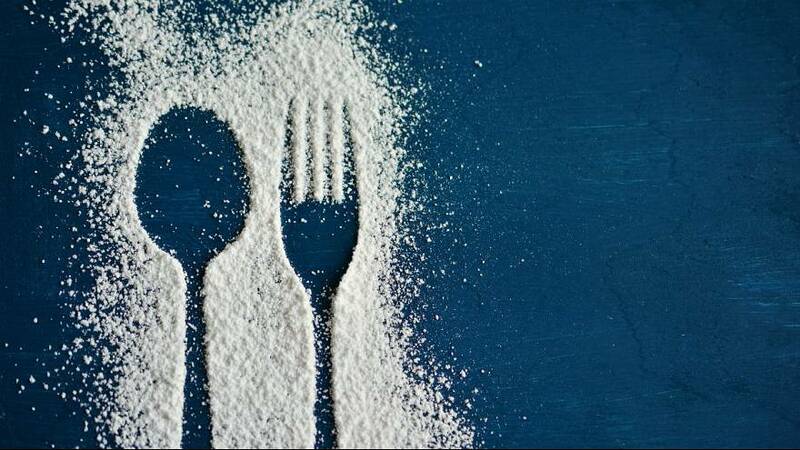 In fact, the relationship between sugar and cancer is something scientists have been aware of for a long time, but it was unknown if the Warburg effect was a symptom or a cause of cancer. They show the biological mechanism of the phenomenon’s relevance for cancer and could help get to the root of how cancer cells trigger the faster sugar breakdown. Cancer cells need to consume more sugar than normal cells, and these findings could help scientists “starve” and selectively inhibit or even kill them off. The team first studied yeast as it breaks down glucose (sugar) in the same way as cancerous cells. How could the findings change care for cancer patients? The findings offer some scientific proof that people with cancer should probably avoid large amounts of sugar in their diet. This concerns primarily sugars that are quickly metabolised, like glucose, because of the resulting “boost” the cancer cells receive after such sugars are broken down. Slowly-metabolised sugars like lactose (found in dairy products) or starch (found in foods like potatoes) pose less risk. The results also raise questions about the common and prolonged administration of serum – blood without proteins and white and red cells, but high in glucose – to cancer patients, something that Thevelein thinks should be investigated in more detail for its possible effect on cancer. How does this research affect healthy patients? Thevelein was quick to point out that his team’s research only concerned cancer cells, as regular cells have good control systems to process glucose. He emphasised that there is currently no indication that sugar induces cancer. On the topic of sugar-free diets that were popular, thanks to a number of celebrity advocates, Thevelein said they were “unnatural”. However, he also said that it “could not be excluded that an excessive sugar intake has a negative effect on the body or might even in the long term increase the susceptibility to cancer,” but his team did not collect data on this topic during the study. Commenting on his hopes for the study’s outcome, Thevelein said it will be a “strong foundation for future research”. Indeed, this discovery could bring us a step closer to finding a way to starve cancer cells while keeping healthy cells functioning, even if there is still a long way to go.